As the HappyCo Admin it's critical you and your team all understand the implications in order to ensure all your reports are completed quickly and accurately. 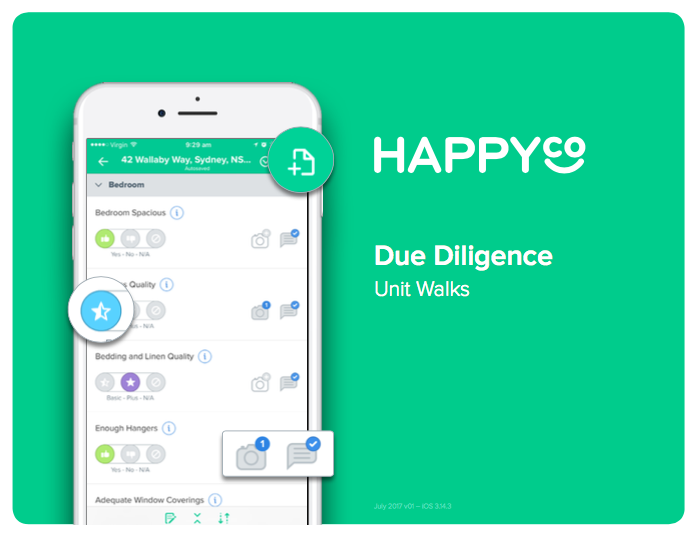 if one of your team members is offline doing their inspections, they will have photos and inspection data that exists only on their device until they upload to your HappyCo account back at the office or when they connect to the internet. If you run into any problems uploading, please review this Help Article first, then get in touch with our HappyCo DD Team: dd@happy.co. NEVER DELETE THE APP. On your iPad, this is on the left-hand navigation menu. On your iPhone, the cloud icon will appear in both the navigation menu and in the top-right corner of your phone on some screens. The cloud will have a small blue badge with the number of items remaining to upload. Once your team is familiar with the app it's time to inspect!